The Philippines has a great majority of touristic offerings, whether one is looking for natural wonders, historical landmarks, culture and tradition, arts and crafts, shopping, recreation and entertainment, among many others. Tourism activities continue in the country’s different regions, each with its own feature destinations and products. The Department of Tourism (DOT), Philippines, is hopeful of continuing its record growth of 2016 from the Indian market in 2017 by targeting more FIT travellers, Leisure and MICE travellers. The Philippines has registered a growth of about 21.37 pc, in tourist arrivals from India last year. To sustain and grow tourist traffic from the Indian market, the DOT recently organised training sessions for travel trade partners in Ahmedabad and Delhi. The 25 member delegation, comprising hoteliers, airlines, and representatives of tour attractions, interacted with over 200 key travel and tour operators, MICE providers, up-market leisure operators and media personnel. Glen Agustin – Chief Tourism Operations Officer, Market Development Division, DOT Philippines, led the delegation. The training sessions included interactive B2B sessions, destination awareness, education programmes and workshops to aid trade members in planning itineraries and responding to customer queries. Located at the very eastern edge of Asia, the Philippines are home to more than 7,000 islands, and are famous for beautiful landscapes, adventure locations and warm hospitality. 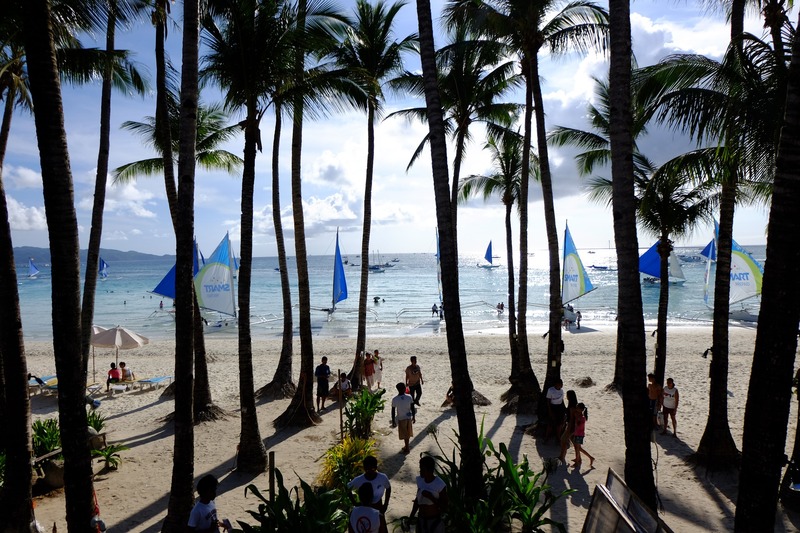 The islands such as Boracay, serve as a must destination for water sports activities, enjoyment and relaxation. Looking inland, the country’s varied landscape also offers breathtaking natural sights from the Chocolate Hills of Bohol, to the perfect cone-shaped Mount Mayon in Albay. The 2000-year-old Banaue Rice Terraces, a UNESCO World Heritage Site, continue to be regarded by many global experts as a celebration of the country’s people’s genius and soul. One can also try an adventurous trek to Mt. Pinatubo in Pampanga or Mt. Apo in Davao or swim with the gentle giant whale sharks in Donsol, Sorsogon; explore the Puerto Princesa Underground River, one of the New 7 Wonders of Nature; or dive at the Tubbataha Reef National Marine Park, another World Heritage Site in Palawan. There are also a number of museums and art galleries in Metro Manila and in the provinces, showcasing the rich history and culture of the Philippines. Moreover, Metro Manila, Cebu, and Boracay are some of the places to be to enjoy the nightlife in the Philippines. “Some of the most popular tourism products preferred by the Indian tourists are Manila city tour, Pagsanjan tour, Cebu heritage city tour and island hopping tours in Bohol, Palawan and Boracay,” Agustin added. In order to improve Indian arrivals to Philippines, it is important to undertake activities to increase awareness. The roadshow format have been revamped to be a more interactive and inclusive one. The roadshows held in Ahmedabad and Delhi were workshop based, offering an in-depth knowledge about the Philippines to the front line staff so that to incorporate new products in their itineraries. Indian travellers holding any of the valid and current AJACSSUK visas (US, Japan, Australia, Canada, Schengen, Singapore and UK) are allowed visa free entry into the Philippines for a period of 14 days, from all international airports and seaports.